High waisted = high fashion. 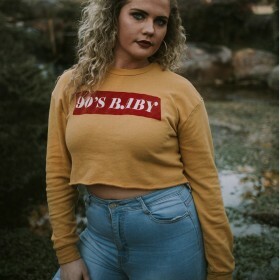 Women’s high waisted jeans come in every style of jeans you can imagine: whether it’s classic pair of Levi’s jeans, distressed black denim, or trendy flared jeans we’re sure you’ll find the perfect pair! On Fashiola, you can search through the 100’s of pairs of women’s high waisted jeans by using the filters for color, style, brand and price to narrow down what you’re looking for. Women’s high waisted jeans have always been a favorite; whether you’re lucky with long legs or looking for different ways to wear petite jeans, we’re sure you’ll find them on Fashiola!